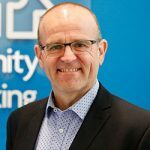 Community Sector Banking CEO Andrew Cairns considers how Australia’s tidal wave of generational change will affect leadership in the nation’s charity sector. Generational change and its potentially negative effect on not for profits is a hot topic. Many worry the ageing of Australia’s traditional donor base will drastically shrink donations, a key source of income for the nation’s more than 52,000 charities. Have our not for profits adequately developed the next group of leaders who will step up once baby boomers retire? Given not for profits employ one-in-10 Australians and provide vital services from the city to the remote outback it’s a pressing question. With Australian not for profits facing changed patterns of giving from donors and shifting dedication to volunteering from the general public, they certainly are heading into an unpredictable environment. The sector accepts donations totalling more than $12.5 billion a year (based on 2015-16 figures). Four out of five Australian adults donate to charity and therefore arguably have a financial interest in seeing not for profits flourish. I encourage staff of not for profits to apply. As we watch the changing of the guard of managers in not for profits we need to ensure the next generation of leaders is ready.